Writing by hand (rather than typing everything) is a highly adaptable way to get back to the basics of writing. You can write by hand in the planning phase. You can draft your rough work by hand entirely. You can revise by hand. Or you can do any combination of these things. Writing longhand can help you to reconnect with your writing by forcing you to focus on your words before committing them to paper as opposed to self-editing as you go. I talk about some of my own distractions (from social media to mobile notifications) and how the timing of my writing can influence the effect those distractions have on me. Writing by hand, as previously discussed, is a great example because you're separating your writing from all of the usual digital distractions competing for your attention. If you can't stay away from certain websites or other online distractions there are apps that can help. Examples are included in the "links from this episode" section below. Sometimes feeling unmotivated is about doing the same old thing day in and day out. A change of scenery might be all you need to snap out of that. I share my own favorite place to write away from home when I need a mini writing retreat (Sayre Mansion's library suite). 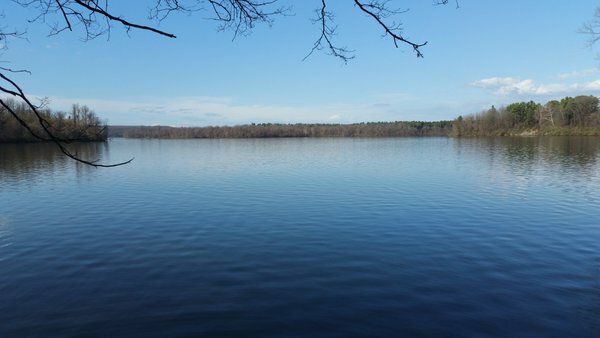 I also mention an outdoor location where I plan to start going when I need a change of pace (or place) with my writing. You can see a couple of photos of that area below. You don't need to go away for a retreat like that however. Look for changes of location locally -- a park, cafe, or library for example. Or even move to a different location around your home such as a different room or working on your deck, patio, or some other outdoor spot. If you aren't feeling motivated to write, it's OK to take a break. Stop trying to force it, and instead let your mind go where it wants to go. Daydream. Fantasize. Take a nap if you have to. Let yourself process whatever it is you're trying to write about in whatever way you need to. Ultimately all writing, even nonfiction, is about a story. So focus less on getting words on the page immediately, and just tell yourself stories. Even a simple image, word, or phrase might stay with you and inspire you. Chances are good the right words will ultimately come. Don't only let yourself think about stories. Also spend time thinking about goals. Where do you want to be a year or two from now? Visualizing yourself reaching those goals can be extremely motivational when you feel stuck. Sometimes we're terrible self-motivators. If that's you, get an accountability buddy or critique partner. Set deadlines for yourself, but let others hold you accountable. Are you really afraid of yourself if you don't meet your own deadlines? Me neither. Schedule regular time to talk with your "buddy." If you fail to do your work, you're wasting their time then, not just yours. Guilt can be an incredible motivator in that sense. Rewards, big or small, can be motivational. That could be anything from your favorite dessert if you finish the day's to do list to a big trip you've always wanted to take when you publish the book you're working on. Remember to keep rewards realistic and proportional. If you know you can't actually afford to reward yourself with a trip, for example, you won't feel motivated by reaching that goal. Get others in on it. For example, a reward might be tickets for you and your sweetie to see a favorite team's next home game, or a weekend trip away with the kids. When others benefit from the rewards, they're more likely to want to help you stay motivated (and make themselves less of a distraction). 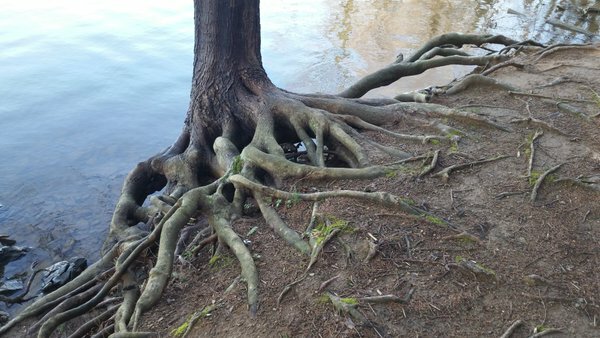 I mentioned I would share a couple of photos from the lake I mentioned in this episode. 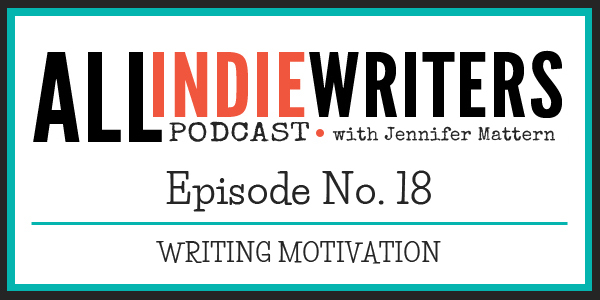 Thank you so much Jenn for sharing this this Episode 18 on Writing Motivation. 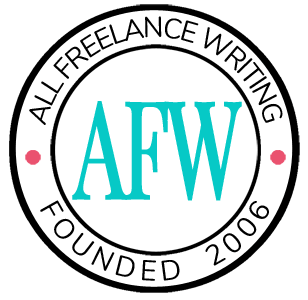 I’m actually going through this right now where I’m needing Motivation and Focus when it comes to my Freelance Writing. The Tips and Notes on how to get Motivated are very helpful. I especially like the one about having a change of scenery. Your Podcasts and Blog is very informative and helpful. Thanks again !